Ash Wednesday is only a few days away, but it's already time to consider ordering Easter flowers. Use the form in the bulletin for one of the upcoming weeks, or use the form below to place your order. 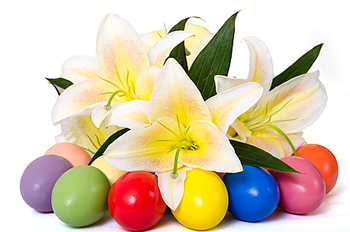 Flowers will be used to decorate the sanctuary on Easter Sunday and you are invited to take them home after the 10:30 a.m. service that day. Payments should be turned in to the church office or given to an elder before or after church. 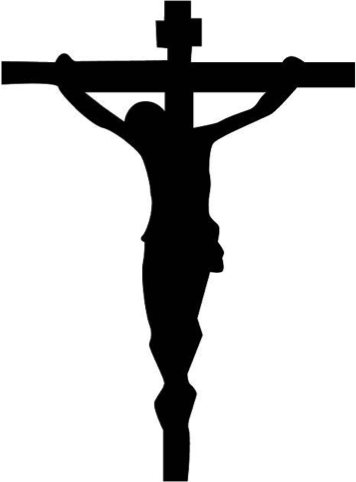 The wounds that our Lord endured upon His body speak of His bleeding love for you. Be gathered with your brothers and sisters in Christ each Wednesday throughout Lent to consider a specific wound upon the Son of God: head, back, hands, side, and feet. This year we’ll be taking part in a “round robin” along with Good Shepherd, Caseville/St. Paul, Linkville; Good Shepherd, Cass City; Grace, Fairgrove; and Trinity/St. James, Munger. Our pastors will rotate between our congregations from week to week, so you’ll have the chance, each week, to hear from one of the other LCMS pastors from the area. 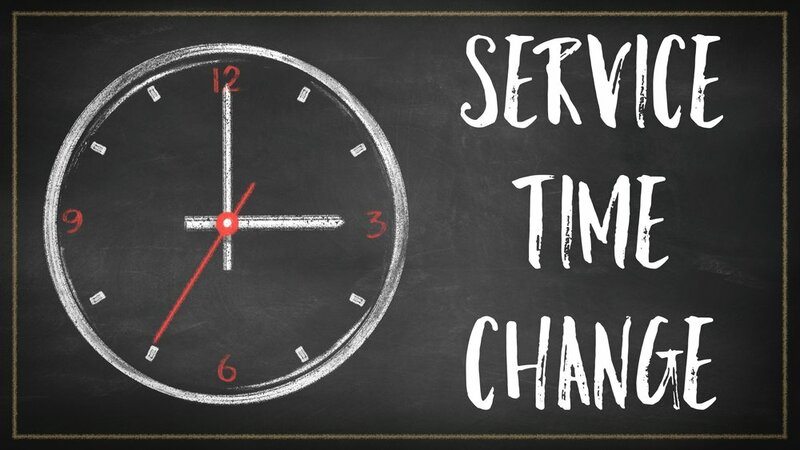 As of the first Sunday in January, we are officially on our new schedule of one service at 9:00 a.m. Hopefully you have all prepared yourselves for the change. Set those clocks a little later-- or earlier, depending upon which one was 'your' service. Just to review, the new schedule is worship at 9:00 a.m., Sunday School and Bible study following (probably at 10:15 - 10:30). Sunday school will still meet in the school building. Adult Bible study will still be meeting in the church basement (although we're temporarily relocated to the sanctuary while the basement is being fixed). Our communion schedule is not changing, either. It is still offered on the 2nd and 4th Sundays of each month. As you can see, most things have stayed the same. Remind Me Why We Are Doing This? There are a couple of things that we hope to accomplish by making this change. The biggest one is having the church more full from week to week. When we split our congregation between two services from Sunday to Sunday it gives the appearance that our attendance is much lower than it actually is. Not only does it feel nice to have more people there at once, there are other benefits, as well. When the church is more full we begin to get a better sense of our singing abilities, for example. Similarly, it will allow you to see people that you otherwise would not have seen again in church until the summer. Let's face it, even though we could go to the other service on any given Sunday, we rarely do. That's why it's been said that a church that adds a second service now has two congregations. It's not unusual to hear someone wonder where another member has been-- only to find out that they've been there, but at the opposite service. Along with that, we hope to try to build a greater sense of fellowship. For decades, our members were, generally speaking, related to at least a few other families in the congregation. There is still some of that, but we're slowly losing those bonds. If we're not careful about building a sense of fellowship through other means, then we'll lose a great deal more in the near future. But Isn't It a Big Inconvenience? For a number of people it is. Change is difficult because we struggle with the simple fact that, when things change, they won't be the same. We like what we like and we don't want to give it up. But is that really a good reason to stay away from worship entirely, for example? Especially when we compare our concerns to Christians around the world who literally risk their lives for the opportunity to worship, our slight discomfort is put into better perspective. That's not to say that there won't be significant impacts, though. The new time doesn't work the best for some families with young children who normally are napping at that time of the day. It also causes some significant challenges to having our school choirs play/sing during our services. Since our service times no longer match up with Immanuel's, having the school children singing in church at either place causes a negative impact upon the Sunday school program at the other church. These are real issues that we're working to address as best we can. Either way, we appreciate your patience as we make the change. We hope that everyone will find that the benefits are worth it. We are saddened to share the news of the passing of our brother in Christ, Harold Deeg. Our Savior Jesus Christ has destroyed death and brought life and immortality to light through the Gospel. Let us remember with thanksgiving what God has done through His servant Harold. Harold Paul Deeg, Sr., was given life by his creator and was born on March 29, 1932, the child of Paul and Laura (Schulz) Deeg. On April 29, 1932, he received the gift of Holy Baptism and became a child of God. On May 13, 1945, he publically confessed his faith and was confirmed. He received the precious gift of the Lord’s life-giving body and blood. Through the course of his life he received the gift of a beloved companion in his wife, Beverly, and, after her passing, his wife Marcella. God blessed Harold’s life with the gift of children: William Deeg of Sebewaing, Susan Ahearn of Bad Axe, Lee (Marci) Deeg of Watkins, IA, Ann (Andrew) Manial of Spring Hill, TN, Melynda Deeg of Bay City and Harold, Jr. (LeeAnn) Deeg of Bad Axe; grandchildren: Sandra, Beverly, Joshua, Shelly, Robin, Brett, Kyle, Erica, Ryan, Jared, Ryan, Nick, Chad, Andreah, Nathan, Ashlee, Matthew and De’Antre; several great grandchildren; siblings: Jerry Deeg of Sebewaing, Robert Deeg of Sebewaing, Selma Schulz of Deckerville, and Shirley Leiterman of Sebewaing; and many nieces and nephews. In addition, God also blessed Denny’s life with many special people as he served God in his vocations at home, here at St. Paul, at Michigan Sugar, on the farm, at the American Legion Post, at the Sebewaing Sportsman’s VFW Hall, and in the community. Finally, on December 16, 2017 God blessed Harold with a holy death and took him home to rest in the arms of Jesus to await the resurrection of the dead. The Lord gives and the Lord takes away; blessed be the name of the Lord. We give thanks to God our Father through Jesus Christ, our Lord, for Harold, our brother in Christ. Harold's funeral will be here at St. Paul on Wednesday, December 20, at noon. For more information, see his obituary at http://www.jmfuneralhome.com/obituary/harold-deeg-sr.
Over the past six weeks we have been about the task of looking for a new church secretary We were blessed to have four excellent candidates apply for the position. Through the interviews with the applicants, it became clear that each one offerred a great deal, making it a very difficult decision. 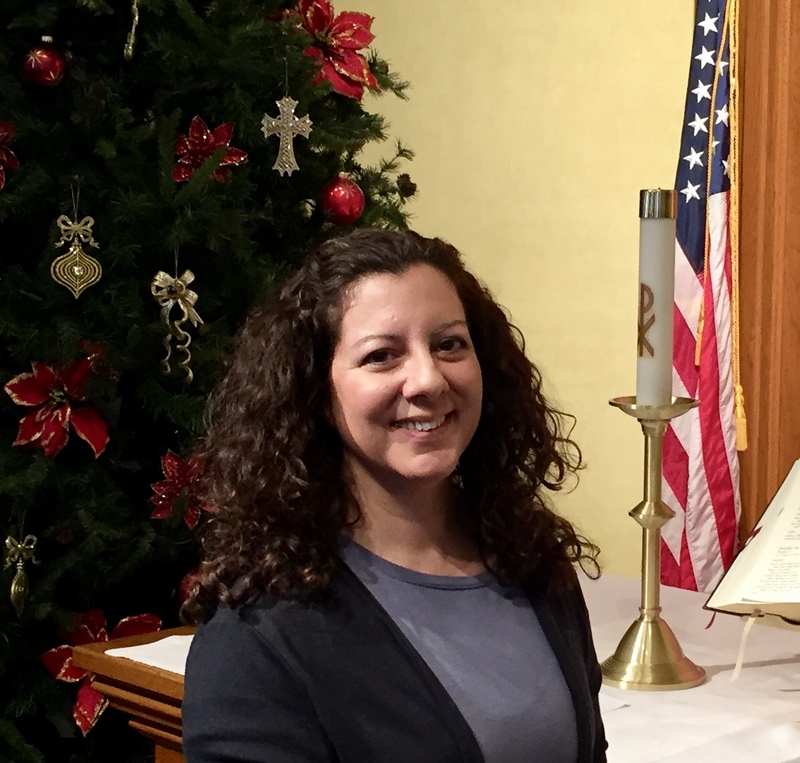 After prayerful discussion and deliberation, we are very pleased to announce that the church council has chosen to hire Mrs. Tracey Reinbold as our new church secretary. Tracey brings an impressive set of skills and experience that will be a great blessing to our congregation. She is a member of Grace, Fairgrove, and her children have attended CTK since 2016. Please help us welcome Tracey to St. Paul! Tracey will start work this Monday, December 11, and will work from the office in the school. Regular office hours will be announced soon. Update: Her regular office hours will be Mondays from 8:00 a.m. - 3:00 p.m., Wednesdays from 11:00 a.m. - 3:00 p.m., and Thursdays from 8:00 a.m. - 3:00 p.m.